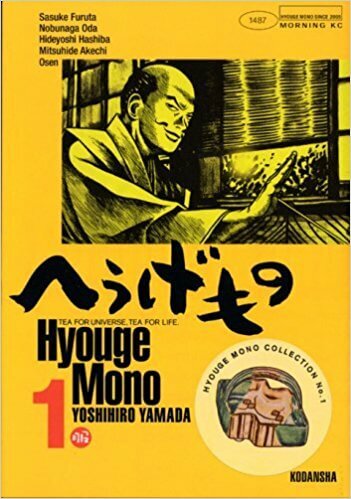 Just recently, I read a manga (comics) named “Hyouge Mono”. This is a story of a Samurai named Furuta. 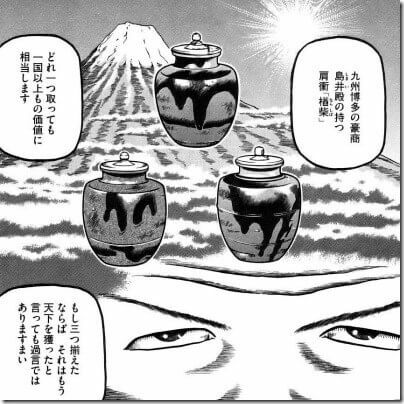 Furuta was a Samurai who want to become general, but he prefer collecting valuable artifacts to distinguishing himself in war. Therefore, he struggles to find and get such artifacts. At that time, those valuable artifacts were mainly by those in power. But he, Samurai Furuta, was not in a state to meet them easily. The story draw the story of the man how he had met those in power of the era, and also how he had collected valuable artifacts. but also because it explains how valuable those artifacts are and why those were special from artistic standpoints. In present, we can find in Google and at least see picture of whatever you want; the biggest diamond in the world, treasures owned by loyal family, phantom swords used in ancient war etc. etc. However, we can easily imagine how difficult it was for those who lived centuries ago to see those valuable artifacts. But it is true that those valuable artifacts are still valuable until now. Some skills to make them have inherited and there are a few artisans who can make them. and also try to explain how valuable they are. Hope our site interests people like you who have desire to see/know/own valuable artifacts!